Added support for WooCommerce 2.7 and 3.0. Refactored currency conversion logic to follow the new guidelines. Added support for the new logic for the conversion of variable products. Improved the User Interface in Edit Product page. 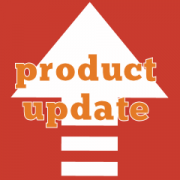 Dropped support for WooCommerce 2.3 and earlier. The Prices by Country now requires WooCommerce 2.4 or newer. Improved compatibility with Bundles plugin. The logic used to determine if a product is on sale is now more robust. It also solves an issue that was triggered with bundled variable products that were priced and discounted individually.